In life, we often put a lot of focus on what we really want… Qualities we want to embody. Goals and accomplishments we want to achieve. Possessions – or even relationships – that we desire and long for. However, instead of always seeking to add something to our life, we must discover what we need to let go of in order to uncover who we really are and what we really want. 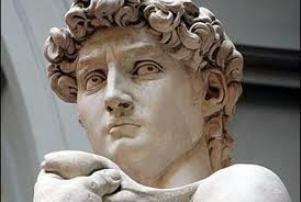 Furthermore, what many people don’t know is that the a giant block of stone that Michelangelo started sculpting was so damaged that his contemporaries considered it “ruined” and “a thing of no value.” But that didn’t stop the passionate artist from seeing his masterpiece inside. What needs to be cleared away in order to reveal what you really want and to become the person you desire to be? What is stopping you from living the life you were meant to live? What fears, false beliefs, and negative perceptions do you tend to cling to that prevent you from reaching your full potential? It’s time to work towards letting them go. When it comes to managing your time, what sort of things do you need to say “no” to? What time-suckers and distractions do you indulge yourself in? What sort of unimportant, but seemingly urgent tasks are on your to-do list that should be moved to an “Ignore List”? We can even apply the Michelangelo Method to organizing our home. What sort of insignificant clutter do you have? What do you need to let go of to create a space that you enjoy? What sort of items do you have hanging around that tend to have negative feelings or associations attached to them? Begin today and follow Michelangelo’s wise example… look within, overcome obstacles and setbacks, chip away at all the unimportant “stuff”, and begin sculpting a more simple and authentic life. For more information, check out The Michelangelo Method: Release Your Inner Masterpiece and Create an Extraordinary Life by Kenneth Schuman.